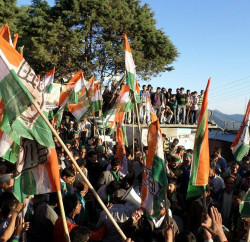 Himachal Pradesh Congress leaders ridiculed the BJP’s allegations of political vendetta and termed it as a part of the BJP’s diversionary tactics. 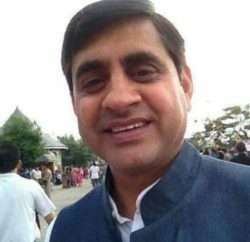 Congress leaders Forest Minister Thakur Singh Bharmouri, Industries Minister Mukesh Agnihotri and Urban Development Minister Sudhir Sharma, in a joint statement, alleged that BJP were trying to create pressure on the investigating agencies by making baseless insinuations. Congress also debunked the “Badla Badli virodh campaign” of the BJP as an attempt to distract the public attention from the wrongdoings of its leaders which were under investigation. Taking a strong exception to the statement of Leader of Opposition Prem Kumar Dhumal warning officers of dire consequences, they said if he could issue such threats while being in the opposition, one can imagine what he would have been doing to his opponents and adversaries while in power. Congress leaders alleged that Dhumal and his family were using the BJP as a cover to hide their misdeeds. Investigations were being carried out on the basis of the charge sheet of the Congress, which has been handed over to the Vigilance Department for the probe. Congress said that not even a single case has been registered against any office bearer or BJP MLA till now and in the case of former minister Krishan Kapoor, investigation was being conducted on the orders of the High Court. The case against Rajiv Bindal, MLA was an old case pending prosecution sanction. 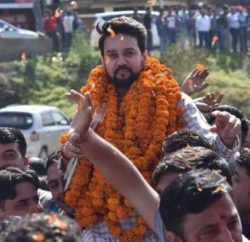 Similarly, in case of Himachal Pradesh Cricket Association (HPCA) headed by Anurag Thakur, they said the investigation was being carried as per the orders of the court. Sarcastically attacking on the Dhumal, Congress leaders said that during their regime, they couldn’t find land for the Central University at Dharamshala, but there was no shortage of land for the HPCA. They further alleged that it was the BJP regime that tried to implicate its opponents in false cases and in the Sagar Katha case, Virbhadra Singh was given a clean chit by the Supreme Court. He was also given a clean chit by the CBI on the 24-point charge sheet against Virbhadra Singh submitted by the Dhumal government. Congress leaders also accused leader of opposition and for misusing his political power for falsely implicating Virbhadra Singh and other Congress leaders during his reign and harassed them for full five years.